Artificial intelligence is transforming organizations of all sizes, accelerating growth and expanding the possibilities for innovation. At Tatau, we are ensuring that the compute for AI is cost-effective, fast and accessible. While many companies are positively anticipating leveraging the latest advancements in AI, the financial services industry is on the verge of a major shift, with vast applications. Natural language processing enables computers to understand human speech and respond to customer inquiries, while predictive analytics and machine learning are increasing the capacity for fraud detection and creating more personalized customer experiences. Here we highlight five key areas in which the finance industry can expect to see significant advancements driven by AI technologies — all areas that Tatau can support. Cognitive computing lends itself particularly well to risk assessment. AI has the unique ability to address and manage complexity — especially as it relates to analyzing unstructured data (including letters of support, proof of address, legal documentation, identification documents, etc.). As traditional analysis methods become less able to handle the ever-increasing volumes of unstructured data, this additional faculty of AI will become critical. The average organization is experiencing a 23% annual growth of unstructured data, and it is doubling every 40 months, according to a 2019 study. Nearly one-quarter of respondents reported growth rates of over 40%, with unstructured data doubling every 24 months. This growth can be attributed to the rapid increase in machine-generated data and machine learning projects, with 55% of respondents’ data generated by machines. The capability to easily combine unstructured and structured data sets will have vast implications across all levels of the financial industry. Improved analytics will lead to better risk management decisions and swifter navigation of increasingly complex compliance and legal requirements. Working alongside human thinking and traditional analytics, AI will boost existing processes, rather than replacing them entirely. Online credit card fraud will soar to $32 billion in 2020, according to Nilson. Traditional fraud detection methods simply won’t be able to keep up, as they rely on comparing structured data against rule sets. This process often generates too many false positives, requiring many man-hours to manually analyze and process. These limitations, along with ever more sophisticated cyber fraud methods make it extremely difficult to detect and identify. Even major breaches can go undetected for months or years. In addition to significant financial losses, undetected fraud can also seriously damage companies’ reputations. Combining approaches using identity authentication, machine learning, and behavioral analytics, AI can help identify threats early. This will allow users in parallel with AI to mitigate potential damage. AI will also learn from past instances and become more adept at identifying possible fraud or breaches in the future; with each instance, the algorithm refines the fraud detection criteria in real-time. 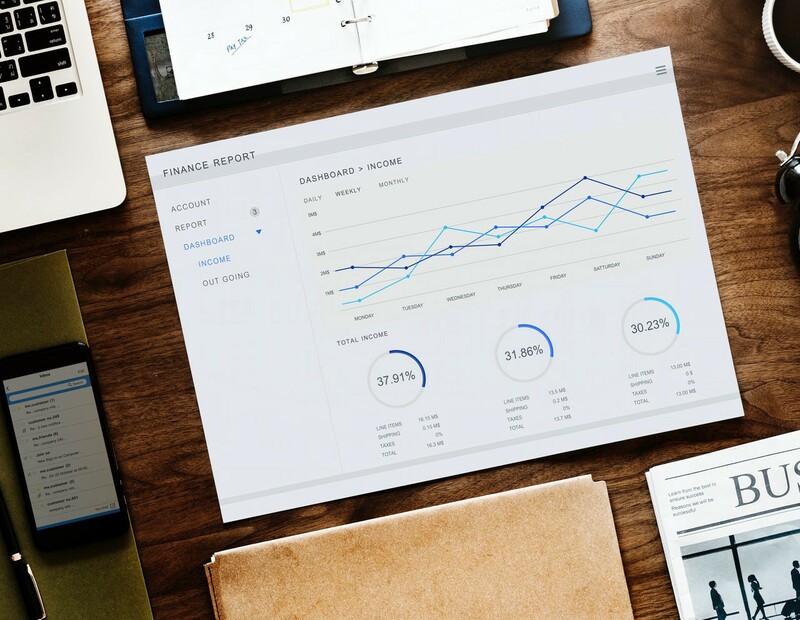 Financial services companies generally have a vast array of data at their fingertips, but unfortunately, it’s not always obvious how to extract meaningful insights from that data. AI technology can quickly make sense of large assortments of data and deliver more detailed, timely and accurate insights to aid in better, faster business decision making. Since the majority of major banks worldwide are already investing in and using AI for big data and predictive analytics, this technology will hardly represent an advantage — it will become the norm. In addition, predictive modeling for financial services can help optimize the overall business strategy and better forecast future performance. Automated financial services analytics will allow companies to run thousands of models simultaneously and deliver faster results than with traditional modeling, which allows those companies to scale faster than their competitors. While it has been fairly simple to automate basic customer service using traditional technologies (such as the universally-beloved phone tree), more complex queries currently require human intervention. Natural language processing is set to change all that. Advancements in voice recognition and natural language processing are likely to deliver significant cost savings to financial institutions, and more consistent and responsive service to customers. AI-powered voice assistants can now handle far more complex banking functions. For example, OCBC Bank, in partnership with Google, recently launched the first AI-powered voice banking in Singapore. It can talk to customers about bank services like calculating mortgage loan amounts, future savings and the latest finance market updates, or direct them to nearby branches or ATMs. When it comes to meeting customers’ unique expectations, AI removes the guesswork. AI can help better define and predict customer journeys, record preferences, and tailor the experience to each individual — something that has previously been almost impossible to do at scale. AI can support financial businesses in predicting customer financial habits, identifying optimum investment opportunities, setting interest rates, and determining ideal loan providers. Opportunities to upsell and cross-sell products via recommendations will also move from best-guesses towards genuine analyses of micro-behavioral trends. So where does Tatau come in? Developing the enormous compute capacity required by AI is expensive and time-consuming using traditional approaches. Rather than invest in building in-house capacity, savvy organizations are turning to Tatau, a specialist provider of decentralized compute. Using a distributed network of GPUs, we’ve created a giant supercomputer to tap into the latent existing compute. This avoids the need for resource-heavy hardware and offers a cost-effective, environmentally-friendly alternative. Most importantly, this approach is scalable, providing an almost unlimited source of compute, and the platform from which companies can embrace and exploit AI’s astonishing potential. While businesses are only beginning to uncover its applications, it’s safe to say that AI is set to revolutionize the finance industry on every level. Organizations that are able to harness these new technologies will establish an unshakable competitive advantage.